Tells its riveting and important story well, though some may occasionally question Spielberg’s style of direction. 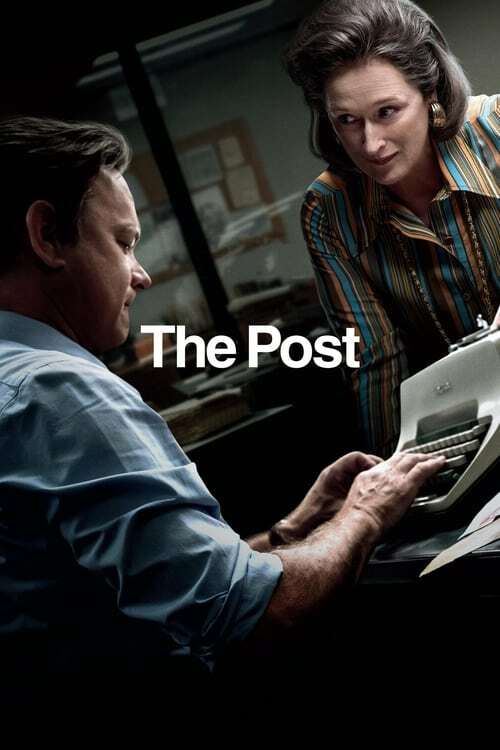 Directed by the incomparable Steven Spielberg, The Post is a drama about how the first female publisher of a major American newspaper, Katherine Graham (Meryl Streep) and editor Ben Bradlee (Tom Hanks) find themselves in a race against time to uncover major government secrets in the Pentagon Papers that spanned over three decades and four U.S. presidents. These pioneers in American publishing risk their reputations, their careers, and even their freedom, to ensure their readers learn the truth about what the United States has been hiding from the people, including baffling facts about the Vietnam War. You might be surprised to find this is the first time this particular trio has worked together, but it’s apparent why Tom Hanks and Meryl Streep were chosen for these roles. Their acting was on point, along with the chemistry they shared whenever they appear onscreen together. Whether it was how the script was written or how Spielberg chose to direct their scenes, I found it annoying how the two main characters were often forced to communicate by phone, even when their characters were in the midst of a crisis or a major decision. Still, as a director, Steven Spielberg is unsurprisingly good at his job, giving the audience not only the fullness of this story, as well as relevant details meant to enhance the world in which it’s told. The way he carefully inserts shots of how a newspaper was printed back in the day and maybe still is to this day, I found to be quite interesting and a great learning experience. I was, however, quite disappointed with some of the cinematography. Many scenes I felt could have been stronger had they been shot at a different angle. Once had the camera was literally circling over Streep’s head, which I found to be disorienting, dizzying and completely unnecessary to get the full effect of the moment. What made me want to see this movie was the fact the screenwriter, Liz Hannah, was a baby writer who’d managed to not only get repped on her first script, but also get a call from Steven Spielberg himself to direct it. There were moments where her inexperience came through, however; dialogue was simple and to the point, with little in the way of nuance or subtext. Several scenes felt like they’d be more appropriate presented on a stage rather than in a feature film. Many critical turning points were overshadowed by less interesting, but perhaps simpler scenarios, such as parties, children, and useless banter. Perhaps its original version was even more rudimentary, which is what prompted her to join forces with Josh Singer, the Oscar-winning screenwriter of Spotlight, after Spielberg came onboard, along with Sony studio head Amy Pascal. What drew Pascal to the story was that Hannah had found a way to tell a story, not only about an important part of American history, but about how one person was able to make a difference in that moment. Of course, the fact that it was about a strong, independent women, made it all the more important for her to make. In fact, so much emphasis was made on the strength of courage and character Katherine Graham had to build up over the film’s length that the courageous Daniel Ellssberg (Matthew Rhys) gets very little screen time. He’s the photojournalist who made all of this possible by actually leaking the government secrets after witnessing things from the inside. He may have committed treason, but it was for the good of the people, risking life and limb to get the information out. He’s given a 15(ish) minute sequence at the start of the film when we see how he came upon the documents and “borrowed” them for copying. We don’t see him again until his secret meeting with Ben Bagdikian of The Post (played by Bob Odenkirk). There’s nothing in the film showing what Ellsberg went through while the documents were being put out by the Times. Was the government on to him? Were they after him? Was he on the run, constantly looking over his shoulder? I guess that’s a whole new movie that could be explored. As a story, I believe The Post has a riveting and important one to tell, especially in the times we are living in today. With women’s rights seemingly just one vote away from obliteration, it’s important to celebrate and remember just how far we’ve come, but also how far we have left to go. For those who crave a true champion who battles not with fists but with wit, The Post is exactly the kind of movie you will enjoy, and Katherine Graham will be the underdog you’ll cheer for this year.